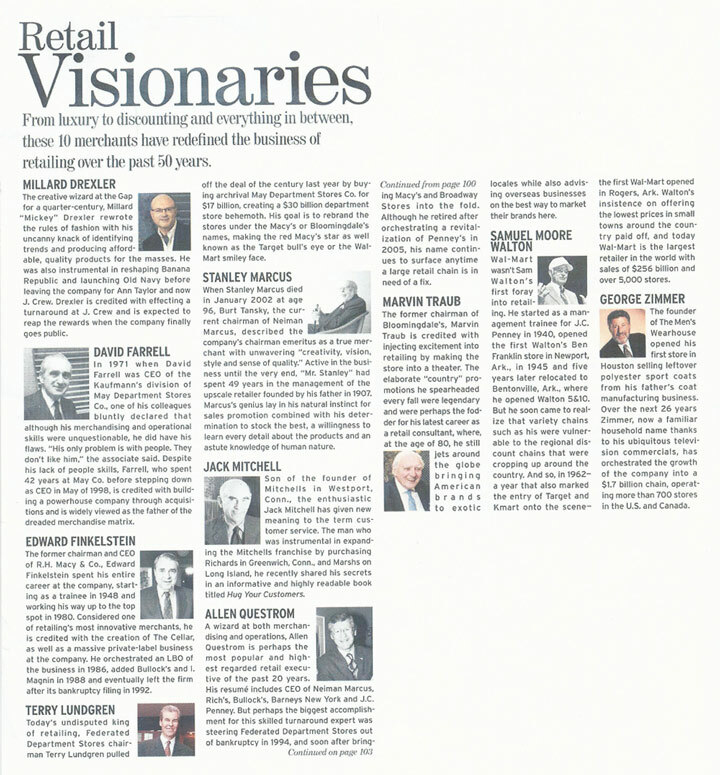 Jack And Bill Mitchell Honored With First-Ever “Menswear Retailing Hall Of Fame” Award. 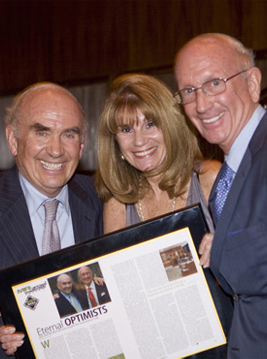 Jack and Bill Mitchell were honored on July 20, 2009 at the first-ever “Menswear Retailing Hall of Fame” Awards, which was sponsored by MR Magazine, the leading trade publication in the men’s fashion industry. The awards dinner was held Monday night July 20th at The Four Seasons restaurant in New York City. In presenting Jack and Bill Mitchell their award, MR Magazine editor in chief Karen Alberg Grossman spoke fondly of founders Norma and Ed Mitchell, and how Ed in 1954 left his high-powered NYC marketing position to open a little shop in Westport. “Jack and Bill learned their values and work ethic from their parents and have passed these down to their children, “ Alberg Grossman told the crowd of 225 industry luminaries. She also gave special mention to their wives, Linda and Sue.